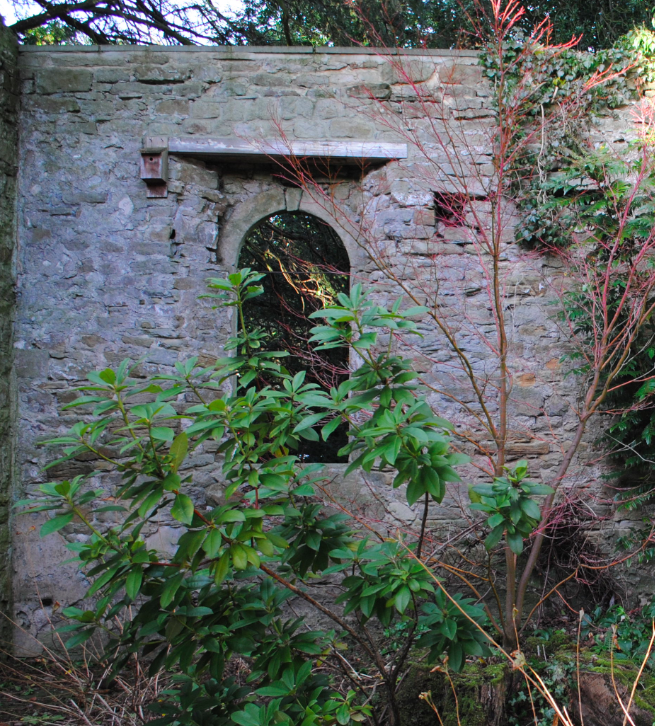 Within the grounds of Eggleston Hall are the ruins of the former Chapel of Ease. There had been a Chapel of Ease on the site since 1539. 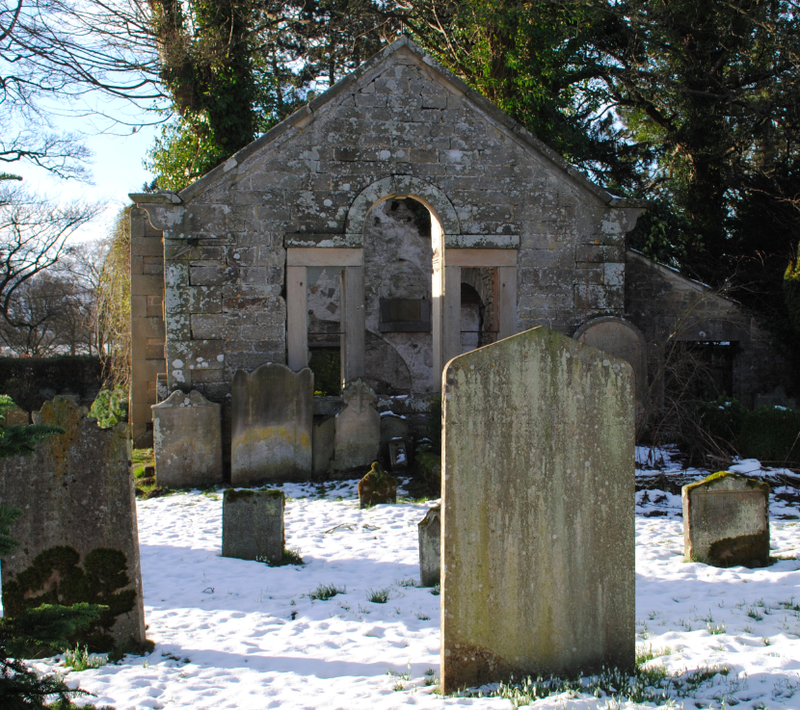 Dating to the 18th century, the small church is constructed of irregular coursed sandstone and ashlar. 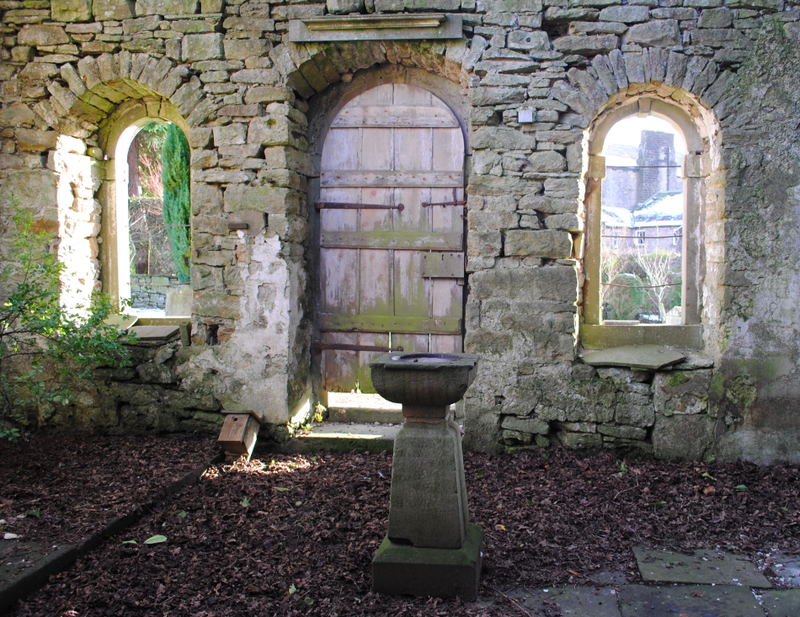 The former chapel featured a three bay nave and three bay chancel each with round-headed central doorways. The private chapel was closed in 1868 with the roof stripped and used on other estate buildings. 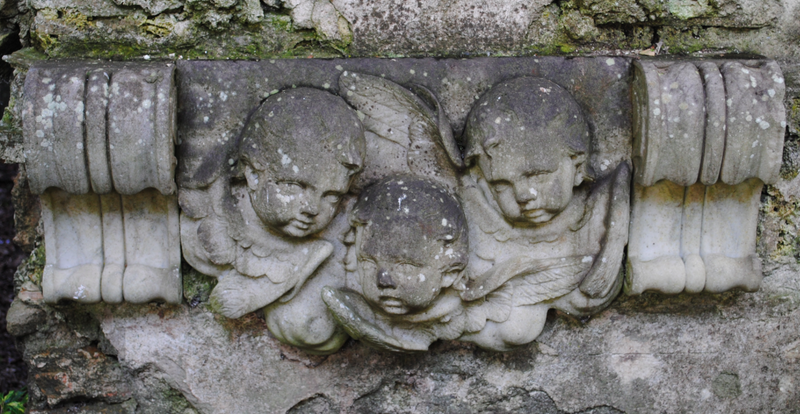 A surviving wall monument (below) features three cherubs heads carved in relief flanked by wide scroll brackets. 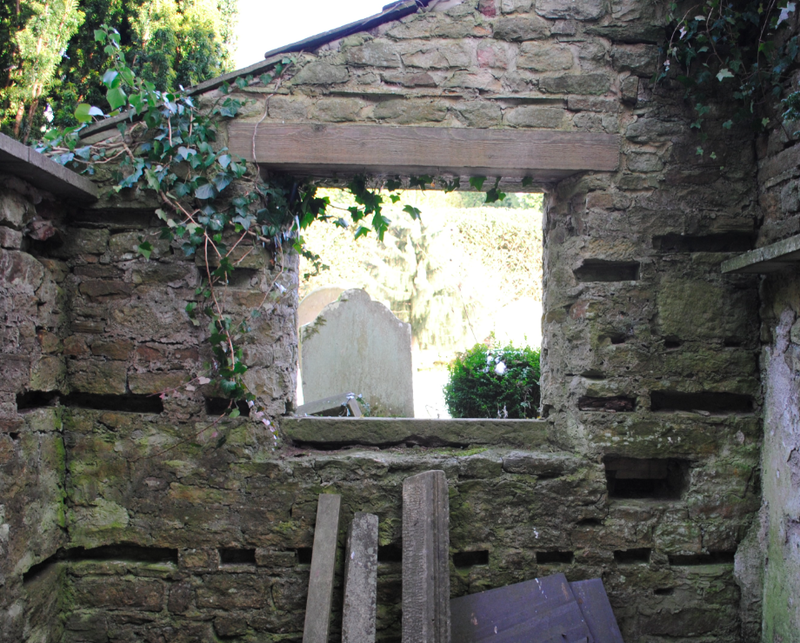 The ruins of the chapel are Grade II Listed.